The site really is addictive, with profiles of some of the world's hottest hotels and destinations curated by a slew of tastemakers, with all the insider scoop, too, including where to dine, shop, and, of course, party. 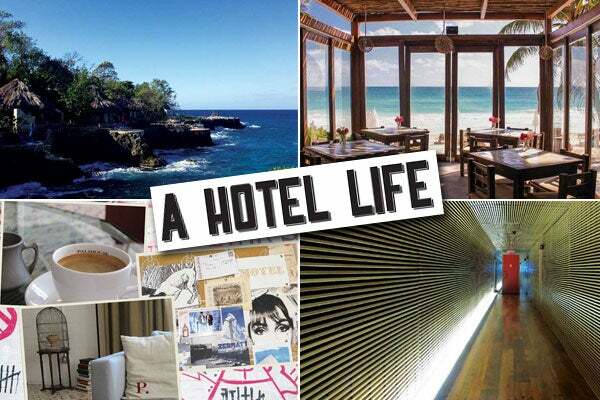 Think of this site as that too-cool-for-school best friend you always go to for style advice — AHotelLife features testimonials and snaps from the likes of interior designer Athena Calderone, The Last Magazine’s Tenzin Wild, and R29-fave DJ, Chelsea Leyland. Look for the “important bits” section of the guides, where the chic curators let you in on everything from the best way to book a stay to a location-perfect playlist. Indeed, the .com is "dedicated to helping the reader discover the mystery, mischief and magic," behind these unique spots, says Pundole. Hate to do this to you dudes, but the rest of your day is pretty much shot — at least when it comes to work.